Brighton is on the South Coast of England so it’s more than likely it’s going to be sunny when you visit. But Brighton is fun in the rain too. Here’s just 10 of the things you can do. Any rainy day in Brighton has to start with a tour of the Royal Pavilion. This is the building that put Brighton on the map. Did you know King George IV, then the Prince Regent commissioned this extravagant bolt hole back in the 18th century? Where better than to spend a wet morning than in an aquarium. The Sealife centre is part of a global chain of aquariums so you can expect a quality hour or two for your money – even better value if you can take advantage of the special promotions they often have available. We can’t talk about shopping in Brighton without mentioning the fabulous unique boutiques aplenty in the North Laine and The Lanes. But if it’s really peeing it down, head to Churchill Square where you can find 80 shops all under one roof, including H&M, Debenhams, Next, Urban Outfitters and Zara. There’s also a choice of restaurants and coffee shops. According to tripadvisor there’s over 1000 restaurants in Brighton. Pick a good ‘un and take your time over a nice long lunch! Other cinemas are available but when the weather’s miserable it’s got to be arthouse hasn’t it? The Duke of York’s is Britain’s oldest cinema in continuous use. They serve delicious pizza upstairs and there’s a fine selection of wines and beers which you are free to sup during your film. While we’re on the subject of food and drink, let’s not forget the British classic of tea and cake, or with coffee if you prefer. Brighton is tea-ming (get it?) with cafes’ and teahouses. You’d be hard to beat Metro Deco, just around the corner from Hamptons. 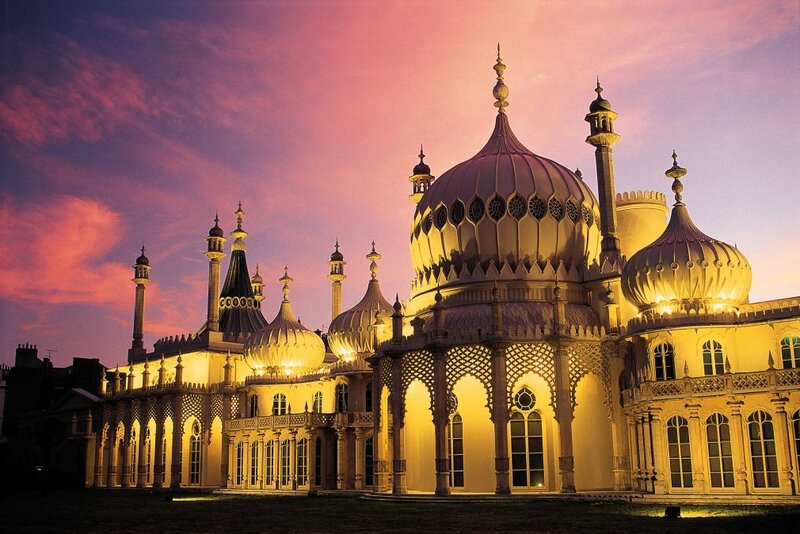 Just opposite the Royal Pavilion, once part of the Royal estate indeed, is the Brighton Museum and Art Gallery. Lots to see here and the tea and cake isn’t bad either! 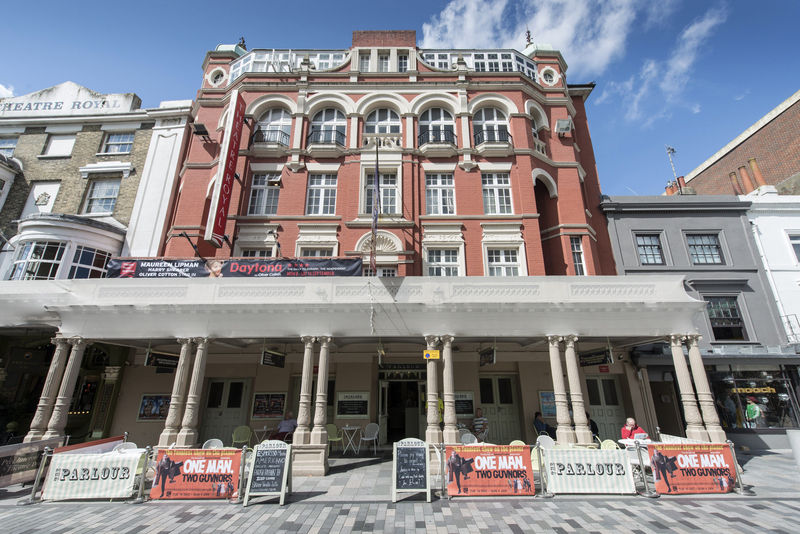 Staying in the same area, called the cultural quarter, is The Theatre Royal, one of the oldest theatres in the country. You can often catch a new play before it begins it’s run in London but you’re just as likely to find a musical, a bit of ballet, or even some opera. 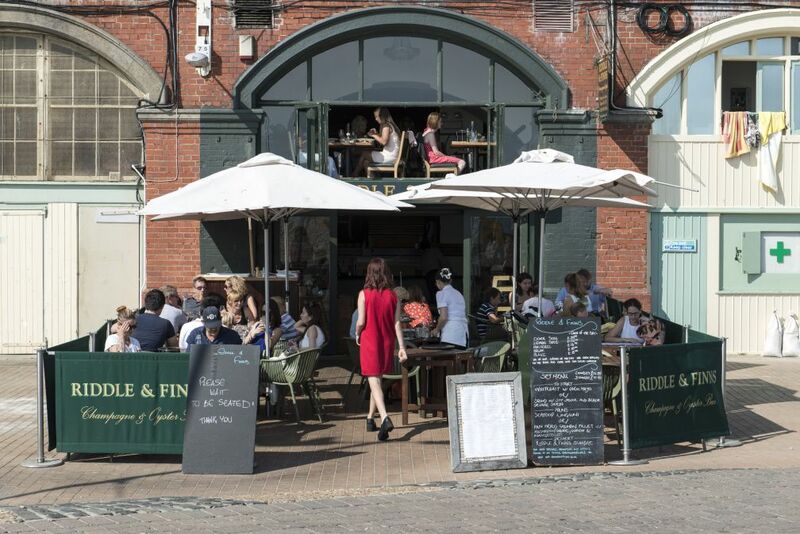 Brighton’s reputation as a pubbing and clubbing destination is bar (ha ha) none. So get stuck in. Having been in the Brighton B&B business for a while we know our guests like to chill out and enjoy the simple pleasure of a long lie in. That’s why breakfast is optional at Hamptons. Above all else a stay in Brighton should be a chance to totally relax. And if you’ve done just a few of our recommendations above, you deserve it! So who needs the sun? Come and stay with us soon for a wet and windy weekend in Brighton!